You're not the only one concerned with the fate of the horse. I teach a summer ESL course in a NJ middle school. 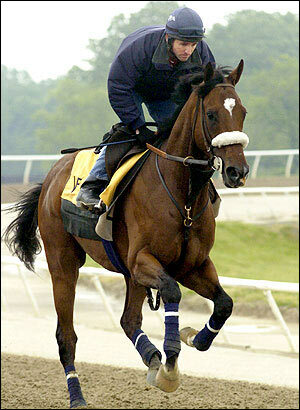 The teachers there have a $10 dress down day with proceeds going to help Barbaro's recovery. Of course this is in a low-paying district packed with children of poor farm workers, most of whom will never have medical care comporable to that of the horse. Yet the teachers want to contribute to the cause....why?...you guessed it, so a family can breed Barboro for tens of thousands (if not hundreds of thousands) a pop. Nothing like the psychic allure of an injured horse.